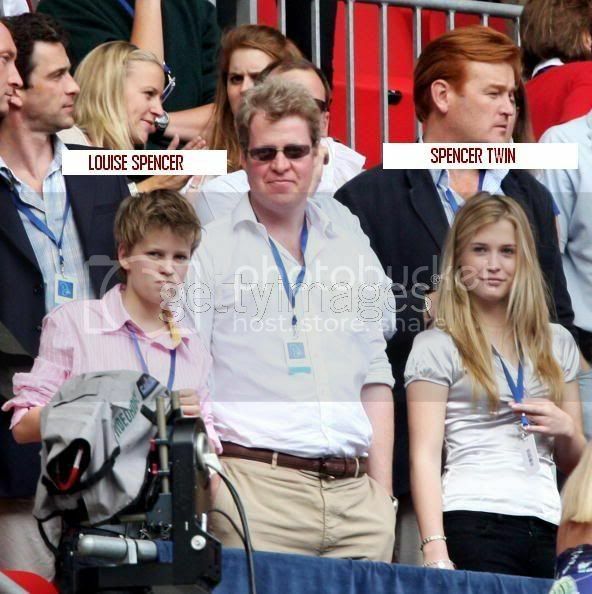 I am amazed at how much the Spencer twins look like Diana when she was the same age. Did anyone notice the woman next to Lady Kitty Spencer? Is she Jessica Craig? jessica Craig was supposed to attend the concert as Prince William's guest and be in the Royal Box (and according to records, she did attend), so I think we can presume it's her. Those home movies were the sweetest part of the whole show. Diana doing her "Spencer Special" dive, and practicing her ballet and then slapping her towel around was so precious. It left me wanting to see more of this wonderful, growing Diana, through the years. I kept hoping we would see footage of teen years too. It was over much too soon. If anyone missed the concert they can watch it now on Vh1 Classic but its not the full concert. 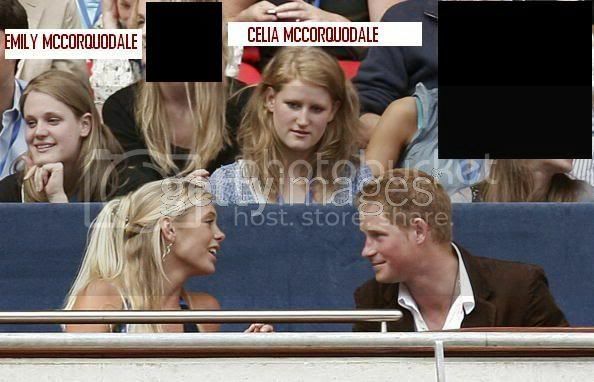 Harry and William were making faces as if they thought her impressively attractive while she sung during the concert. Lily Allen was pretty unknown until she used the MySpace site. Lily Allen is this new Brit ska and reggae singer she made it big over here with her single Smile and her album is a hit. But Corinne Bailey Rae and Amy Winehouse had much more success here in the states than she did. You should go check them out on Myspace. **If you know of other certain guests, please feel free to expand this list. ***If you have doubts or suggestions, please speak up. Wayne Sleep can also be added to the list of guests at the service. He's the ballet dancer Diana did a number with as a surprise for Charles, I forgot the year and occasion. Was it for his birthday? Here are two other pictures from the service. The source is Majesty, Vol.28 No.10, October 2007. Prince William and Harry came up with great idea.They wanted to pay tribute thier mother by organizing concert.Takiing into consideration their close relationship,it was surely something which will make Princess Diana happy.